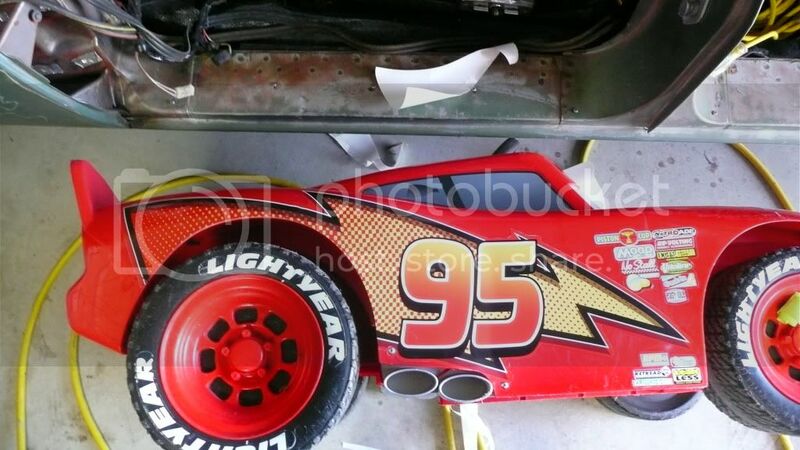 Hiya, I'm picking up a 12v McQueen today and at first glance from pics I'd say it's gonna benefit from a whole new set of decals. Question is can these be bought as a complete set or can I get scans of them and get them custom done somehow? Hope to get some good info, cheers for any help. Jimbo. Ok, scratch that, they just refunded my money... I HATE sites that list items in stock and it turns out they aren't!!! Bummer! What about the eyes then fellas? These a DIY item only? If so where do I start?! Cheers again. Yeah, the interesting thing is, they didn't re-calculate/refund the shipping, so I'm still paying shipping based on 3 sheets... I emailed their customer service, we'll see what happens... $2 is $2 right? This was my first test order from Tiger Imports for PW parts, so far it's not looking good. So does anyone have any templates of their own for these mcqueens? Either the full set or just the eyes? 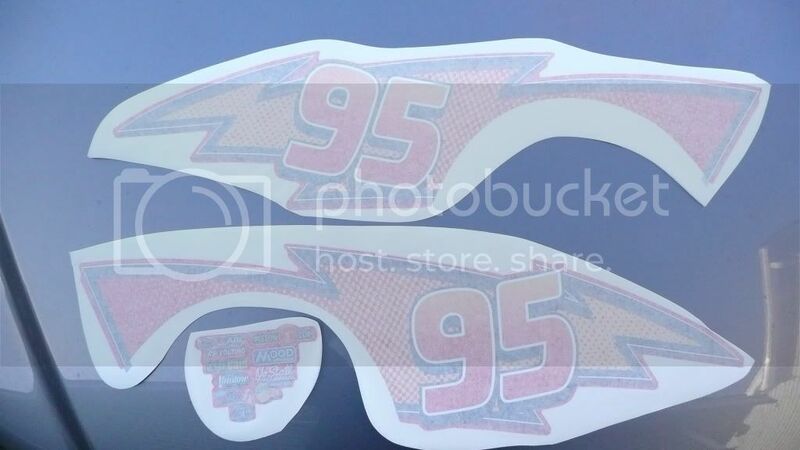 I'm going to try a get the large decals on the side custom made for the 2 Lightning McQueens I aquired, Would anyone else be interested in them. 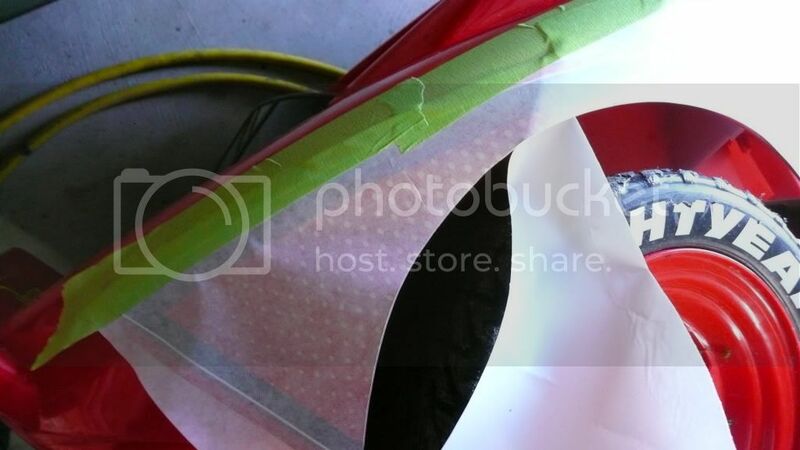 Depending on the price, I may get the complete set created in vinyl with a protective clear laminate. Yeah, I might be interested depending on the price. The few places I've asked about reproducing decals wouldn't do it citing copywrite laws... They wouldn't even scan them for me. 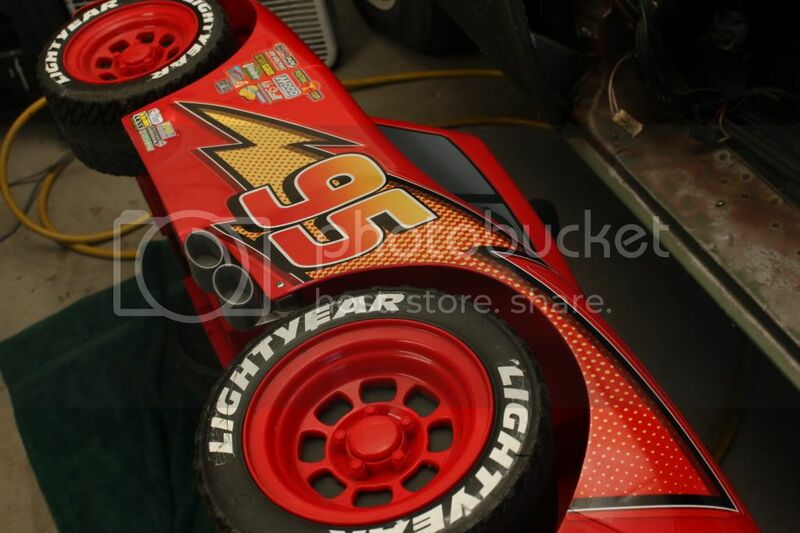 I did notice however that Hobbymasters still has a set of the "Lil" Cars 1 McQueen decals. 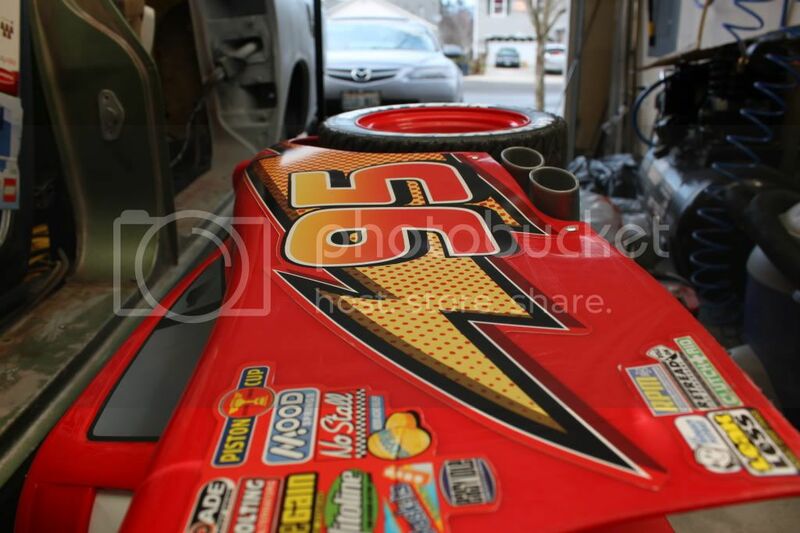 They have the hood decal as well as the rear bumper decal. I was thinking I could scan them into photoshop and then just blow them up to the standard size...? 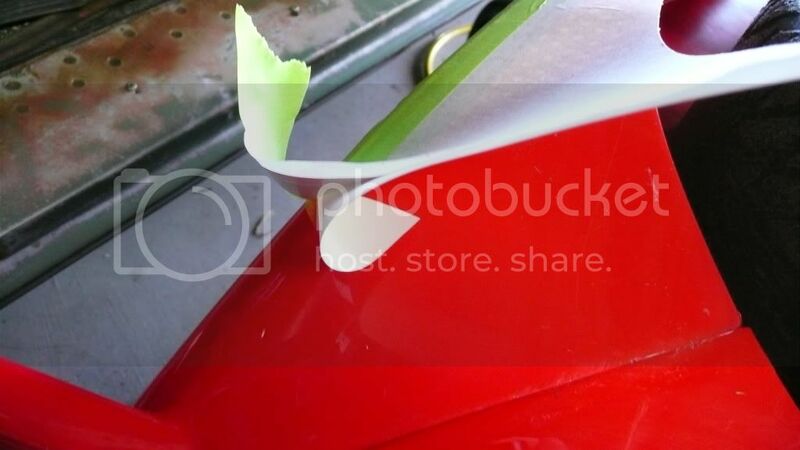 But that still leaves windows, the big side stickers, the sponser stickers, etc, etc. Lots of decals on that car pre-installed. If we could get someone to reproduce all the "Pre-intstalled" decals, I'm sure A Lot of people would want a set. Last edited by SigEp on Wed Dec 07, 2011 2:41 pm, edited 1 time in total. Anyone got any good side shots of the sides and hood? May work on this.. Here are a couple scans I made so far. Just to test my options. Last edited by Adamup on Mon Dec 19, 2011 7:41 pm, edited 1 time in total. That looks great! Any chance you can email it or post it where we can download a full res copy? One side wouldn't do much for you right. I plan on creating all the decals for this car and possibly making a little money at least to pay for my decals not to mention my time. Would that be asking too much? 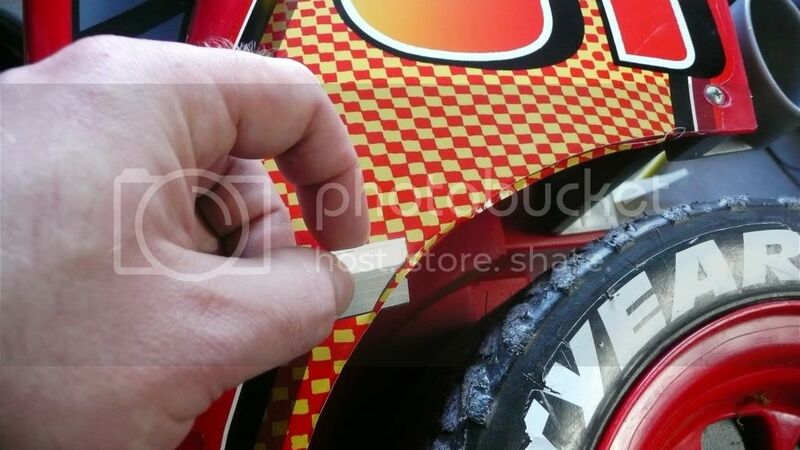 Just in time for Christmas, I have applied a new set of lightning bolt decals to the kids' Lightning McQueens. Check them out and let me know what you think. These were made a high quality 3M material. If you would like a set of just the Lightning bolts it will cost about $50 to your door but it is made in America! 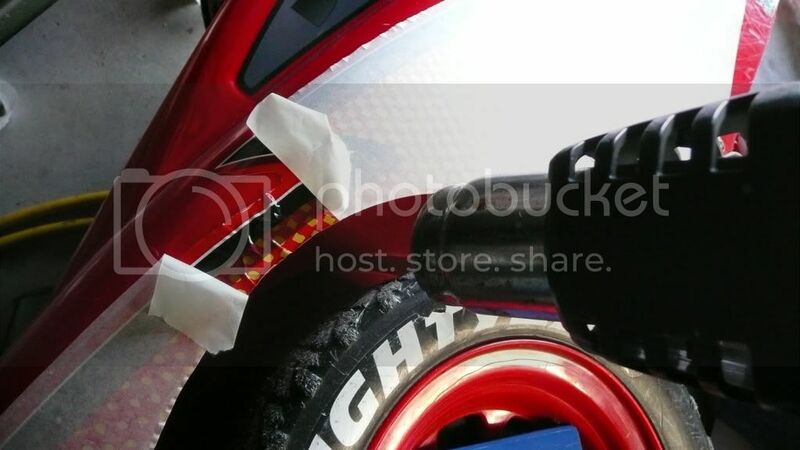 Although, you could wait for more decals to be added and the price wouldn't be much more. 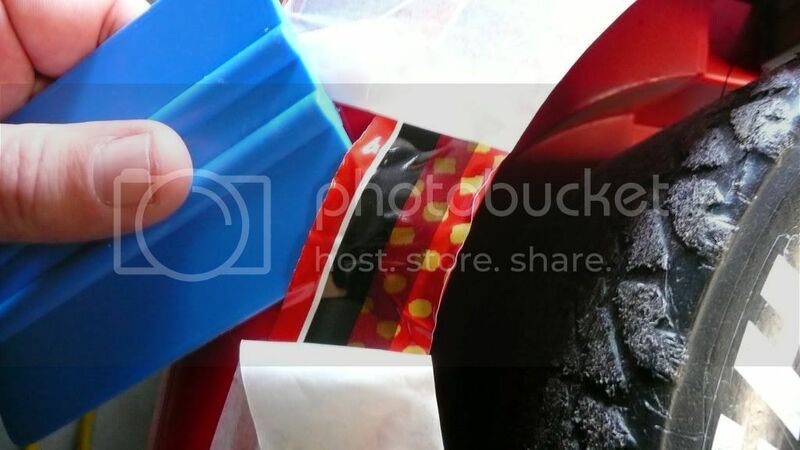 Last edited by Adamup on Mon Dec 26, 2011 9:54 pm, edited 2 times in total. Looks great! 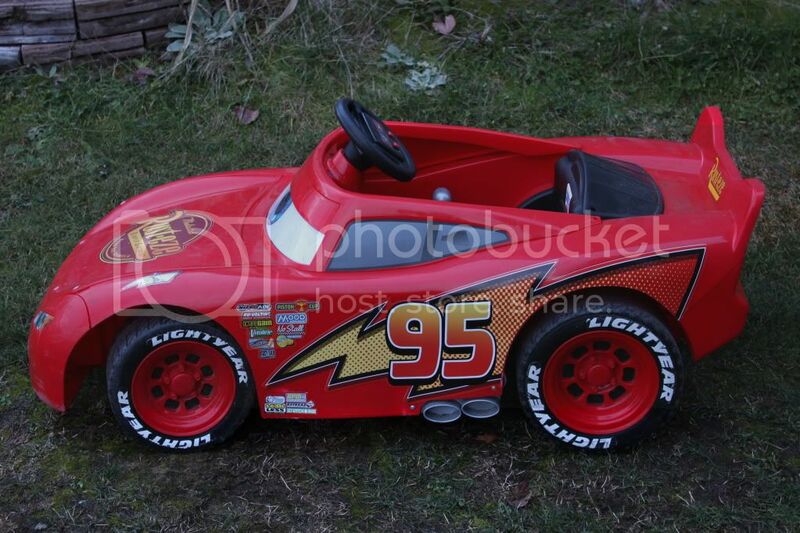 But for $50, we could get a whole new McQueen car...used of course. Being that there is NO other place to get them.....$50 is not THAT bad. At least we would be supporting our economy and not China. It cost me $35 to get one set made and i figure $10 to ship. That would be the best i could do. I could see if they could make them out of a cheaper material but I'm sure we wouldn't be happy with them. Another option would be to have them make 5 sets to get a bulk price? Any others looking for a set? 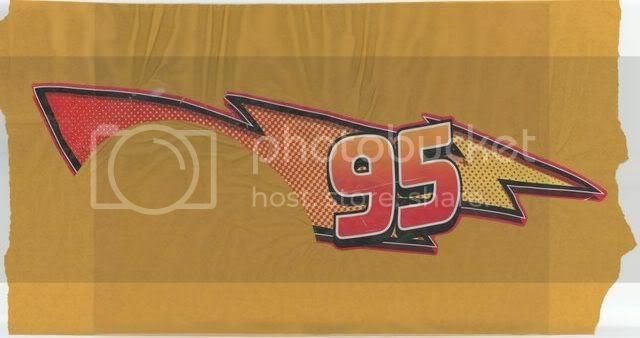 I think most people would be looking for a full set of the unavailable decals, not just the lightning bolts. 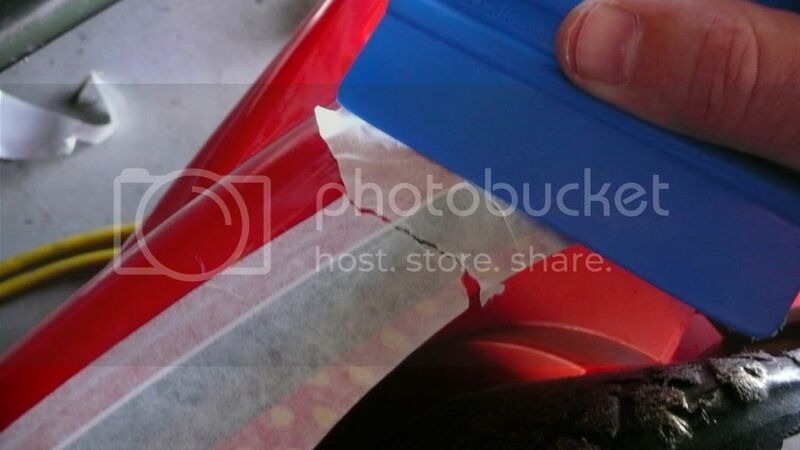 In my experience, if the bolts are messed up, so is most everything else. 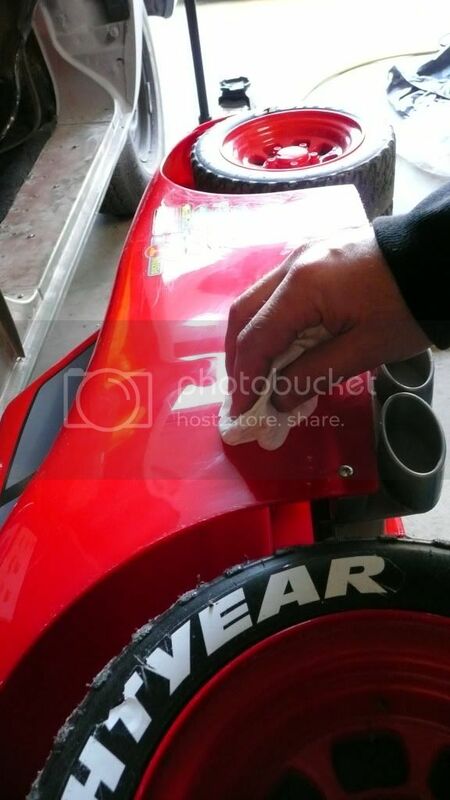 The ones that go the quickest seem to be the tire decals and the front/rear bumper decals. 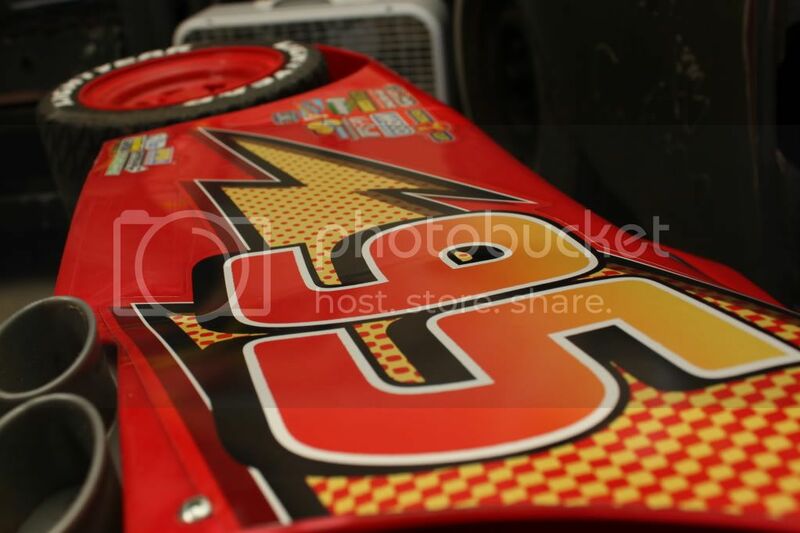 The tire decals are available on the new Cars 2 McQueen decal sheet, but the front lights/rear bumper decals are not. But all that said, it's really awesome that you took the time to make those and offer them to the forum. I'll make the others to add to the set. Thanks for letting me know what is needed. Anything ever come about with the guy doing these? 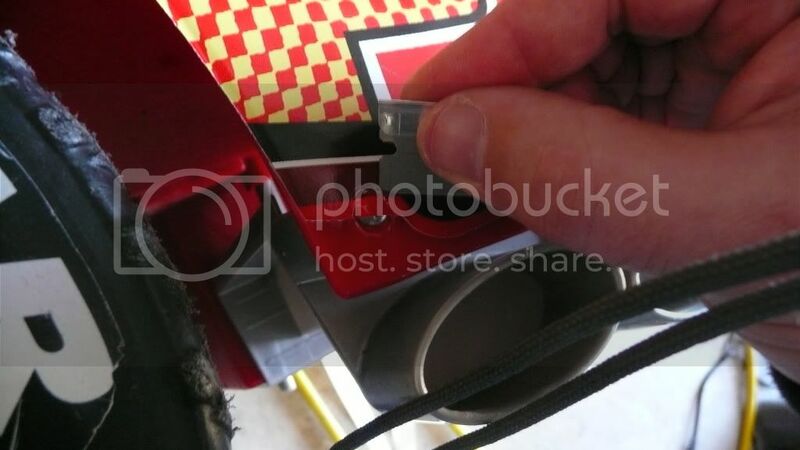 I am in the UK and I am desperately trying to find replacement decals for my 12V lightning mcqueen power wheels. I am getting no where with Mattel. Can anyone help? Very nice job on the photo-chop and print. I used to do graphics as a business and wish I would've had customers like you who could prep their own files. 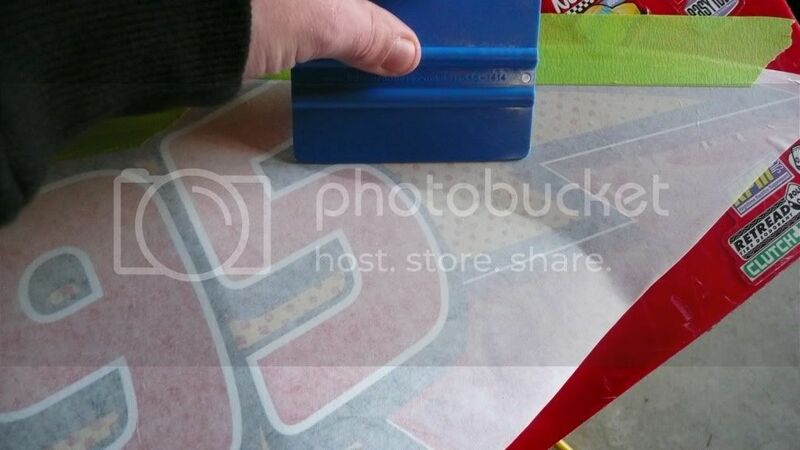 Commercially the $50 for a custom decal print isn't bad. 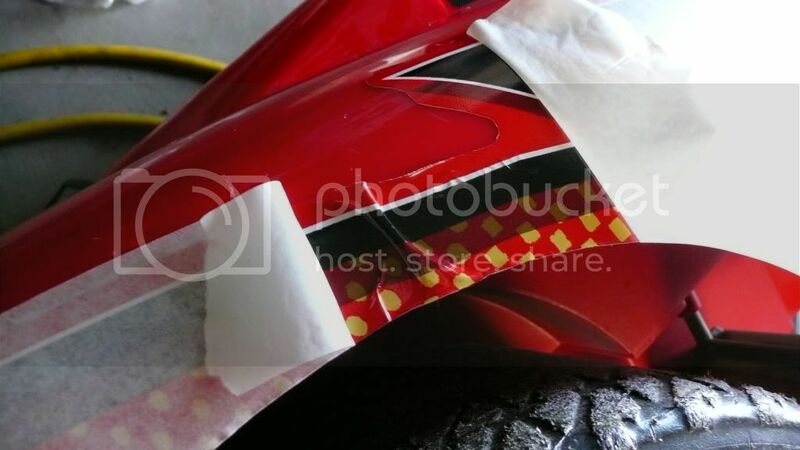 Can you pls tell me where you bought the McQueen decals? 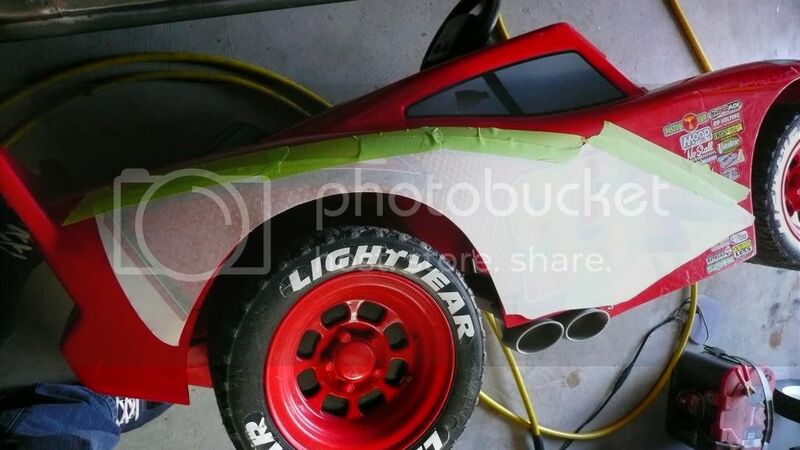 I'm looking for my Son's 6v McQueen, the older version, but from your pics, I guess Feber McQueen decals would just fit it. 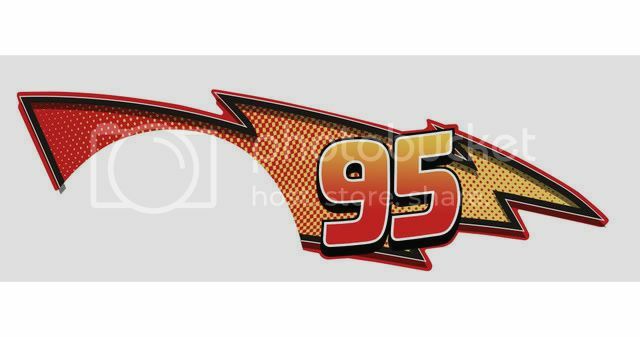 Hey I really need the Lightning McQueen Decal. 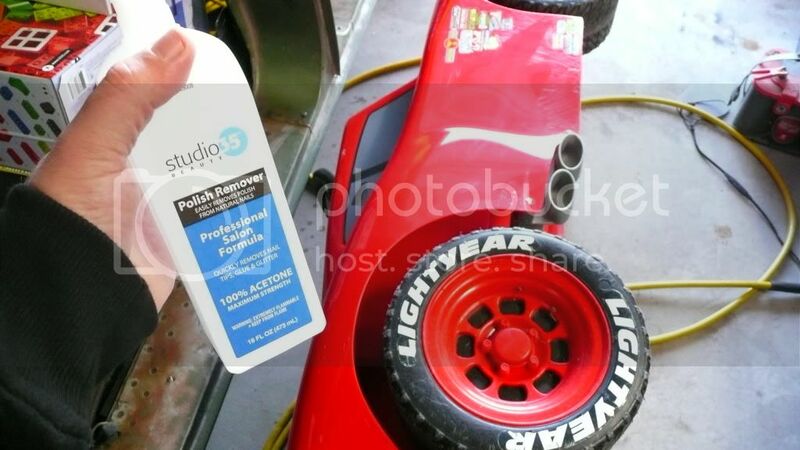 Is anyone selling this?